The National Galleries of Scotland and the National Gallery in London have initiated a joint campaign to buy two paintings by Titian. The seventh Duke of Sutherland, who is 68, is offering the works to the National Galleries of Scotland and the National Gallery in London for £50m each. 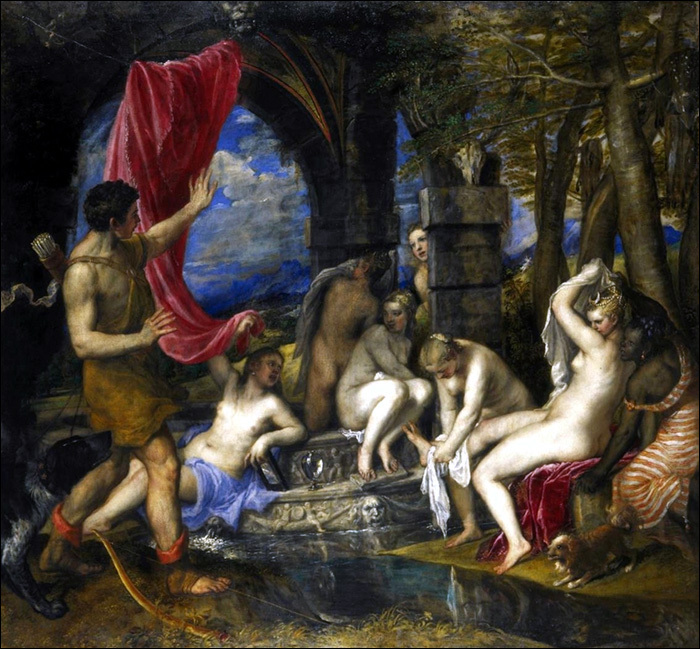 If Diana and Actaeon is sold to the National Galleries of Scotland, Diana and Callisto will be offered for a similar sum to the National Gallery in London in 2013. The two paintings are part of the Bridgewater collection which since 1945 has been on loan to the National Galleries of Scotland. The Bridgewater collection also includes three paintings by Raphael, a Rembrandt, a Van Dyck, a Tintoretto and two more Titians. 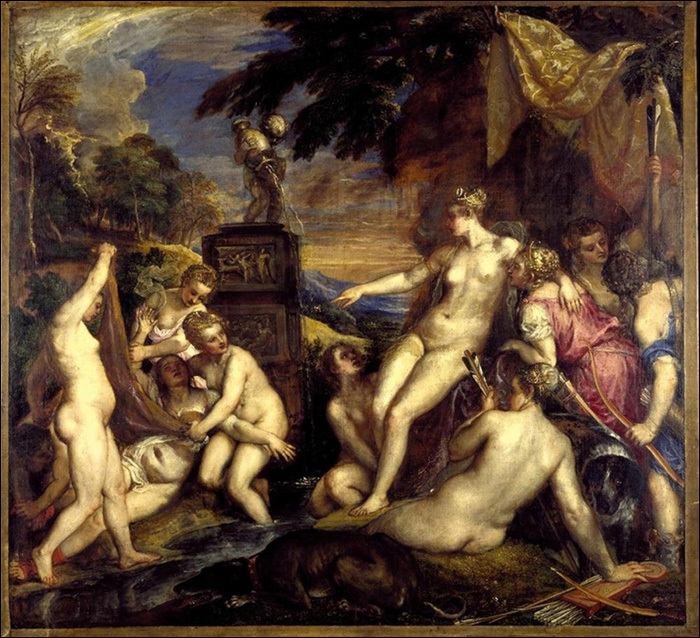 Though the Duke is definitively seeking to sell the two works, Diana and Callisto and Diana and Actaeon , he has offered the works to the national galleries for a lower price than the works would fetch in an open market sale, though there are significant tax implications for selling to a national collection. The BBC quotes the National Gallery of Scotland’s director, John Leighton.”The Bridgewater Loan … is the most important Old Master paintings loan to any public museum in the world,” “Losing Diana and Actaeon would be like the Mona Lisa being taking out of the Louvre”. Both works portray stories from Ovid’s Metamorphoses and feature the goddess Diana. Titian painted both works for Philip II of Spain as part of a series from 1556 to 1559. The funds for the first sale would be due in part by 2009, but even though the museum has time, the raise is massive considering for instance, that the National Gallery of Scotland has an annual acquisition grant from the state of only £1,260,000 a year. The sale, should it occur, would be also significant in that the proceeds would help ensure that the current works in the Bridgewater collection remain in their current homes in the National Galleries. The sale is considered one of, if not the most important masterpiece sale to a UK national gallery in the past 100 years. This entry was posted on Monday, September 1st, 2008 at 7:55 pm	and is filed under Art News. You can follow any responses to this entry through the RSS 2.0 feed. You can leave a response, or trackback from your own site.